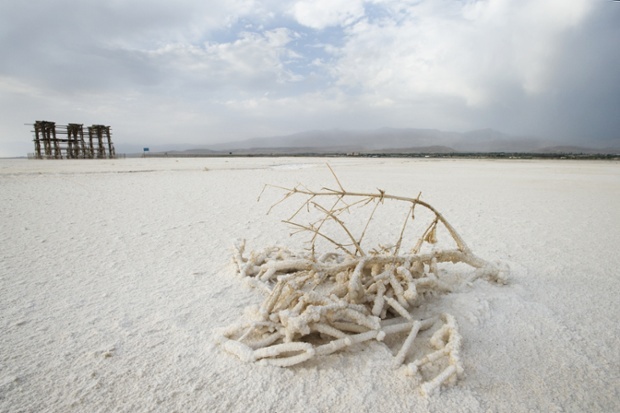 Financial Tribune – Construction of an artificial pond in East Azarbaijan Province, illegally using the water share of the troubled Urmia Lake, was immediately put to a stop on the order of the Department of Environment in a written letter to the General Governorate. After the news went viral on social media, environmentalists at Urmia Lake Restoration Project investigated the case and discovered the injudicious construction of a dam on Ajicay River that is supposed to feed the desiccating Urmia Lake, IRNA reported. Farhad Sarkhosh, the head of ULRP, blamed the illegal work on Tabriz Municipality that took advantage of the environmental bodies’ unawareness, trying to hold back the river to build an artificial pond in its proximity. “While sustained effort is being invested into reviving Urmia Lake, such unlawful encroachment on the Lake’s water right is utterly unjust,” he lamented.